Rama gives 2 rare prisms? I wanna burn a bunch of SR servants for Anniversary Blonde and Rama seems to give 2 rare prisms. Whats so special about him? Is your Rama NP2? That’s the only reason I can think of why he would give 2 rare prisms. Also, I don’t recommend burning him, especially if he’s NP2 already. He’s a great Servant with an Anti-demon niche and a decent crit game, pkus his NP2 greatly increases his NP damage. Moreover, there’s really no point burning him for Anniversary Blonde if you won’t get all 5 prisms needed just yet. Anniversary Blonde isn’t even really worth the servants you would need to burn, unless Stheno likes to visit you often. Definitely keep Rama if he’s NP2 btw. I was curious too so I unlocked my Rama and carefully, trying my best not to shake too much, selected him from the burn menu to see how many RPs he would give and it said it would give 1 for me. He’s NP1 BTW. I did the same thing again for my Astolfo who’s NP4 and even more carefully selected him and saw he would give 4 RPs. So I guess the amount of RPs given from burning a servant depends on the NP level. But like the others have said, I wouldn’t advise burning Rama. Coming from someone who uses him, he’s really good and he crits like an absolute mad lad. im more disturbed none of your other 4 stars are locked tbh ._. 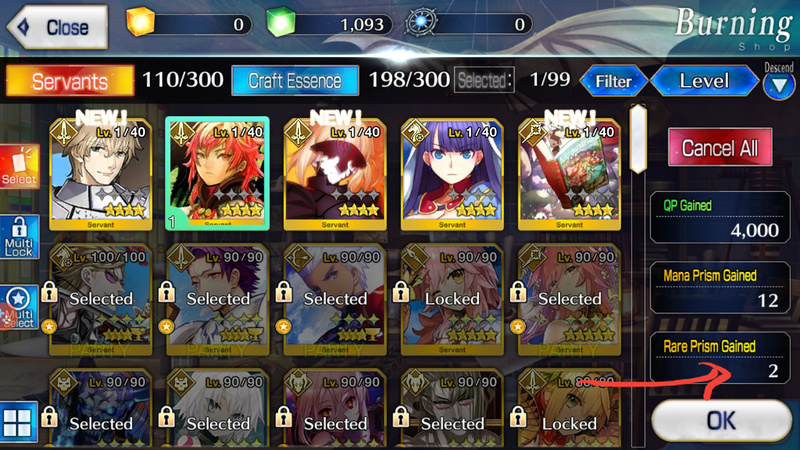 Oh i do lock my 4 star servants (Especially the grailed ones). These 5 were the ones I were planning to burn. You’d actually burn a NP2 Rama and an Altria Alter? You’re crazy. Since you mentioned he crits hard, I’m just interested how he compare with Saberlot? I only maxed saberlot, and got Rama recently (which didn’t level him at all, as I have too many sabers now), and his skill seems to be similar to saberlot to certain extent in the crit department. Are they simply just same type but a buster or art version? I’m guessing Salter ISN’T one of those waifus. A bit ironic considering her OG version all but owns the Anniversary Blonde. Still… Anniversary Blonde just goes so well with Rama (on-call crit stars). Martha gets a whole lot better, as mentioned above, and her team-wide debuff remover is a Godsend in many CQs. And while Nursery Rhyme isn’t the best in her class, she does do a fairly decent job of Arts Crit Caster, though she does still need quite a bit of support. Gawain… Well… He’s the only one I’d burn (spooked me bad while rolling for Bride) but I’m still keeping mine since it’s better to have him just in case. I believe Saberlot is better at landing critical hits consistently since all of his skills are dedicated to unleashing crits for more than one turn. Sadly, Rama’s star gather up and crit modifier skill only last one turn, but he can do a lot of damage in just that one turn. 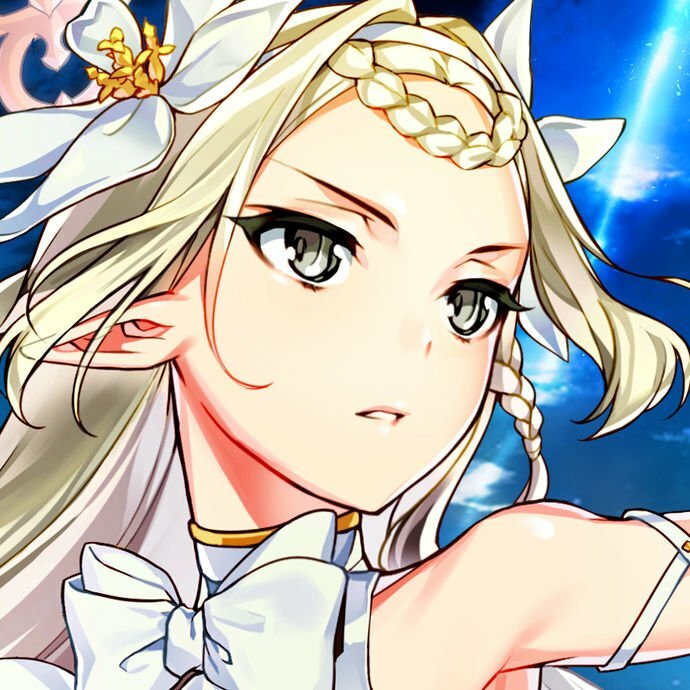 Rama doesn’t have a passive star gen skill like Saberlot’s and his sole quick card doesn’t create much stars either, so he’s going to depend on his fellow teammates to get some stars for him. Lancelot does better with pure crit damage, but Rama is good in his own right with Merlin around. What really hinders Rama is the 1 turn for his crit skill, but his niches are enough to keep him around imo. You do make some good points. Gawain was also a spook for my while rolling for Umu Bride, Nursery seems harder to use than my Illya as I usually run Waver in every team and getting stars sounds like a pain with 2/3 Casters unless I run 2030s but I guess I could jack someone’s Merlin. Still super of the fence about Martha though. Hey everyone! Thanks for all the replies! I’m thinking of keeping Rama now that since you guys have a high opinion on him, I went to re-look over his skill set. I think that I just had a bad first impression about him from my early days of this game (didn’t even notice he was NP2 lol). I’ll probably still use Saberlot as my main crit Saber and Okita maybe probably. But I might raise him in case I ever need his NP. Cheers! Keep in mind, however, that one is Arts-centric while the other is Buster-centric. And while not a huge deal, Rama has a Guts+Heal skill for a bit of survivability that Saberlot lacks. But yes, Saberlot is a lot more consistent in terms of critting and is much more capable of NP spammi g whereas Rama relies more on bursts of damage every several turns. You’reb crazy dude; Don’t burn Rama ! He’s a great servant with almighty crit. Wtf serioulsy. Saberlot and rama are different. Saberlot is less tanky and his crit doesn’t work the same. Rama is a burst crit who deal really high damage when it comes. And his drawing is almighty too. there are so many demonic enemies in this game that I’m not sure why you’re even considering burning Rama at all. They all tend to be high HP and annoying because they drop some of the most difficult to get mats around. Also has something happened ? Everyone seems to be keen on Anni Blonde all of a sudden?